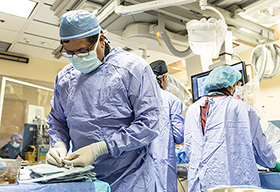 The Schulich Surgery Patient & Family Advisory Council (PFAC) provides input and feedback on the work of the Schulich Heart Program surgical department in areas such as patient education, new initiatives, quality improvement projects, policies and more. 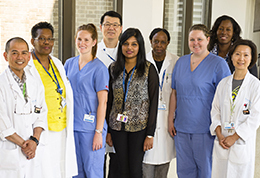 A Patient and Family Advisor is a patient, family member, or caregiver of a patient who has received care at the Schulich Heart Centre within the past 2 years. Patient and Family Advisors offer important viewpoints on services we provide to patients. 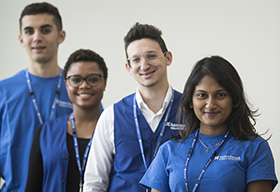 They volunteer their time as part of the Schulich Surgery Patient and Family Advisory Council and work with our health care teams to further improve the patient and family experience. An advisor does not take on the cause of a specific patient or family member. Instead the focus is on providing advice to help further improve how services and care are delivered at the Schulich Heart Centre. What are the qualities of a Patient and Family Advisor? How much time does the role involve? The Schulich Heart Centre Patient and Family Advisory Council meets quarterly. 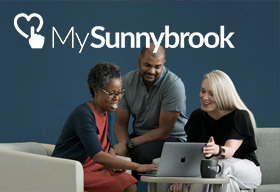 Meetings are held at Sunnybrook Health Sciences Centre and are 1 to 2 hours long. Download an application form below. Complete the form, and email the file or a scanned copy to Elli.Clarke@sunnybrook.ca.